Home improvements are such large investments that you can’t afford to entrust them to just any contractor. While there are a number of factors to consider, the contractors to go for are those who are local and have the right credentials. Contractors who are familiar with the weather pattern, roof styles, and building codes in your area are obviously the better choice over those who don’t. They are in a better position to offer expert advice on every aspect of the project. In addition, you will be able to avoid needless delays since they can get to work right away. Location plays a big role in the cost and time line of a home improvement project. If the contractor, along with his materials and equipment, has to travel to reach you, then you can be sure that the transport will reflect in the final cost. It can also cause delays since you’ll have to wait until everything is in place before the project begins. Furthermore, if you need emergency repairs or inspections, a contractor from out of town will be a poor choice. As the experts in siding, windows, and roofing in Michigan, we are only a call away for your pressing home needs. Unlicensed, uninsured, and uncertified contractors are a hazard to your project. They don’t usually hold their work to any standard and even if they claim to have credentials, they’re almost impossible to verify. Even if they offer a lower cost valuation, it’s really not worth the risk of constant repairs of voided warranties down the line. Kroll Construction is proud to be fully trained and certified by each of the manufacturers we represent, such as Owens Corning®, Alside,® GutterCap, and IKO. 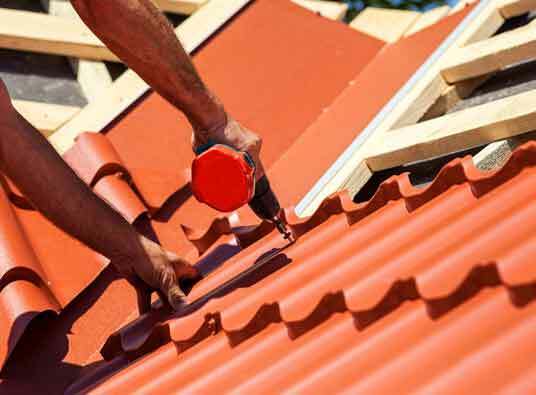 These certifications distinguish us from all the other roofing companies in Michigan. Let us work with you today to remodel your home according to your needs. Call us toll free at (888) 338-6340 or fill out our service request form to get started. We will be happy to provide you with a free estimate for your project.